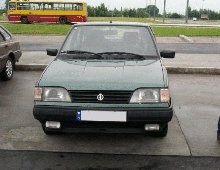 The FSO Polonez is a Polish motor vehicle produced from 1978 to 2002. Essentially the car was a rebodied Polski Fiat 125p, which Fabryka Samochodów Osobowych (FSO) built under licence from Fiat, based on the Fiat 125. The internal components (engine, chassis, and other mechanicals) were straight from the Polski Fiat 125p, but clothed in an entirely new hatchback body. 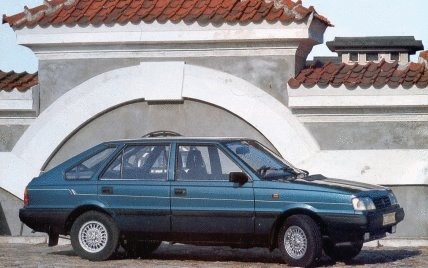 The car was meant to be equipped with Fiat's DOHC engines in the 80's but unfortunately a crisis at the time made the purchase of a licence from Fiat impossible. 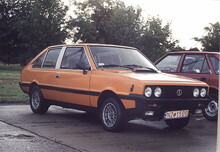 This is also why the 125p was produced simultaneously with the Polonez for more than a decade. Moreover, mechanical modernization only took place when it could be applied to both cars. This situation finally changed after 125p's production end in 1991. The car name comes from the Polish dance, polonaise. 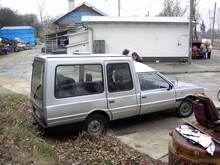 One of most notable advantages of the Polonez is its passive safety. Crash tests were done in 1994 to check if the car passed EU safety regulations so the Polonez could be still exported worldwide, the results of which proved the car to be very safe. The Caro 1.9GLD hitting a concrete block (without an energy-absorbing metal cage) with 40% of the front at 50 km/h (31 mph) survived very well. All doors could be opened without any difficulty, there were no critical injuries for passengers, and no fuel leakage occurred.